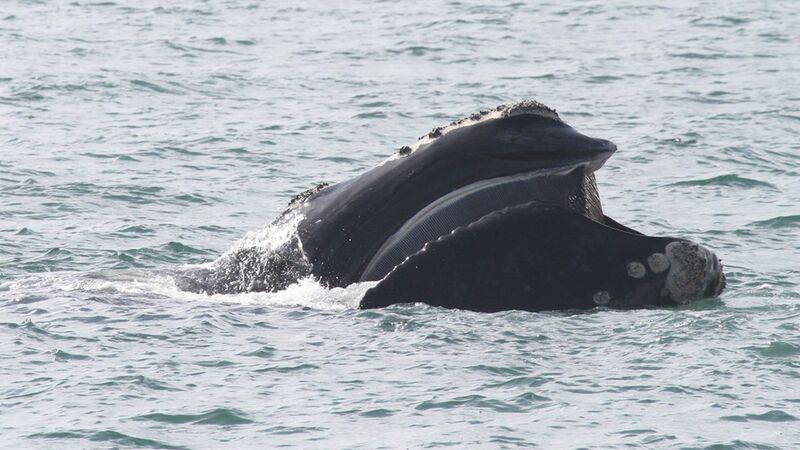 At least 13 critically endangered North Atlantic right whales died this summer, in what has been described as 'carnage.' The cause of the deaths is unknown, but at least three were struck by ships and one became entangled in fishing gear, reports Erik Stokstad for Science. Today, the US National Oceanic and Atmospheric Administration declared the die-off to be an 'unusual mortality event,' which will trigger an investigation into the deaths. Why it matters: North Atlantic right whales were nearly hunted to extinction — there were as few as 50 remaining by the turn of the century. Thanks to conservation efforts like moving fishing grounds and shipping lanes, their numbers had recovered to roughly 465 by 2011. Still, this many deaths in one season is "unprecedented," New England Aquarium biologist Moira Brown told Science, "the population can't withstand this." Climate change? It's unclear why so many whales are dying, but trends show the whales have been following their food further North in recent years, possibly putting them in closer contact with fishing grounds and shipping lanes. Concerns about entanglement caused Canada to close a portion of their snow crab fishery in July.